The movie by Gabriella Cowperthwaite uncovers much of what SeaWorld has tried to cover up about the death of trainer Dawn Brancheau – and about the many other trainers who have been killed or injured at SeaWorld and other marine circuses. But absent from any of these discussions is SeaWorld itself. Instead, the company has gone into crisis-PR mode, where you hunker down, refuse to go on camera, and instead send in an official statement which you hope the TV host will read out without being able to ask you any questions. If you haven't seen Blackfish yet, be sure to watch it on CNN tomorrow evening. The movie by Gabriella Cowperthwaite uncovers much of what SeaWorld has tried to cover up about the death of trainer Dawn Brancheau – and about the many other trainers who have been killed or injured at SeaWorld and other marine circuses. 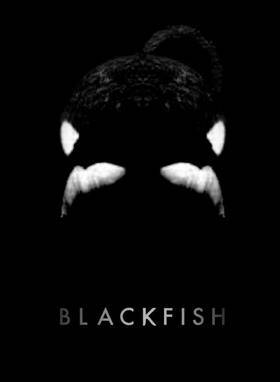 Kudos to CNN for its part in producing Blackfish and for airing this remarkable movie. But I do have one issue with them . . .
CNN is doing interviews and backgrounders all week on the question of whether these cognitively and socially complex animals should be kept in captivity. Dozens of people involved in the movie, ex-trainers, celebrities, scientists and others have been joining the discussion. Last night, for example, on HLN, the inimitable Jane Velez-Mitchell talked with Russell Simmons of Def Jam, who said of SeaWorld simply: "Shut that sh*t down!" Tonight Jane talks with Dr. Lori Marino of the Kimmela Center and the Nonhuman Rights Project, who was also on Anderson Cooper 360 earlier this week. But absent from any of these discussions is SeaWorld itself. Instead, the company has gone into crisis-PR mode, where you hunker down, refuse to go on camera, and instead send in an official statement which you hope the TV host will read out without being able to ask you any questions. Why is SeaWorld allowed to get away with this? Why does CNN let them present their own statement without insisting that they show up and answer questions? Imagine the accused in a court of law being allowed to make a statement to the jury about his total innocence, and without the attorneys or the judge being able to ask a single question or challenge his alibi or any other of his so-called facts? Why does CNN allow itself to be used in this way? Why do its producers and interviewers not respond to SeaWorld by saying: "We are not your PR company, so we will not simply air your statements for you. We have invited you to come on the show and we will give you equal time to answer our questions. But please understand that if you try to use the situation simply to make unrelated statements, we will have to terminate the interview." 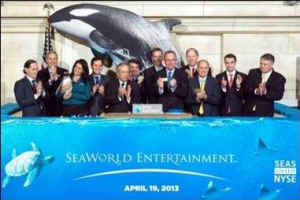 At a shareholder meeting, the "suits" at SeaWorld congratulate themselves on how much money they've made holding animals captive. CNN appears to be bending over backwards not to be seen as being "unbalanced." It seems that in a media environment where no one wants to be accused of being anything other than "fair and balanced," you no longer have to show up and answer real questions; you just send in a statement and go back into hiding. Even the wonderful Jane Velez-Mitchell has fallen prey to this – probably under pressure from CNN to be "fair" to SeaWorld. Still, kudos to CNN for producing Blackfish and for airing it on Thursday . The movie is expected to be nominated for an Oscar, and even if SeaWorld's management goes AWOL on answering any questions, its silence is testimony to the fact that they know they're in trouble.